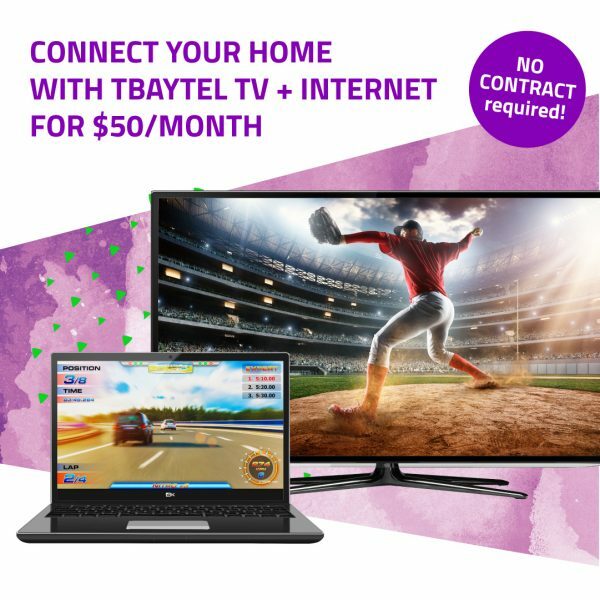 New subscribers will receive Tbaytel’s TV and Internet services for only $50/month for 6 months – NO CONTRACT required! Just incredible services and incredible savings. disclaimer: Limited time offer that expires July 2, 2019. Promotional pricing for Tbaytel services applies to new residential customers who have not subscribed to applicable services in the past 3 months. Promotional pricing for Internet and TV services is for the first 6 months of service, after which regular in-market pricing will apply. Internet promotional pricing applies to plans 25 Mbps to 200 Mbps. Upgrade to Fibre Gigabit for an additional $10/month for 6 months.TV promotional pricing applies to Basic TV plan. Services are subject to availability where access and technology permit. Enjoy an unmatched television experience. You’ll love TV like never before! What is Restart TV? Restart TV allows you to start watching shows from the beginning, whether you tuned in halfway or at the end. Never miss a show again. 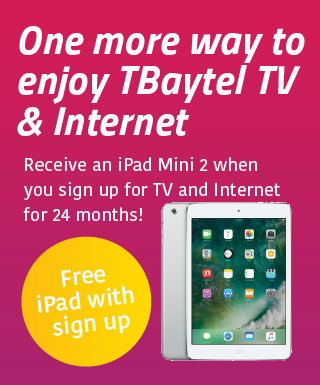 Go beyond the box with Tbaytel Digital TV and use your computers, tablets and smartphones to enhance your TV experience. Find great shows and movies to watch. Plus it turns your mobile device into a remote control for your TV. Get more from your TV with apps including Move showtimes, Lakehead Thunderwolves, Thunder Bay Airport Flight Status, and much more; Connect yourself to official Facebook fan pages through our Social TV App. Record and control live TV with a Personal Video Recorder (PVR). 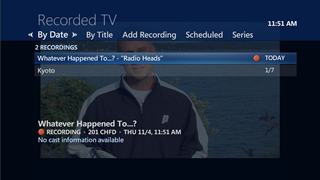 Recordings stored on your Master Set Top Box are easily shared with other connected TVs in your home. No more fighting over primetime! Extend PVR capabilities from one TV to all your TVs so you can watch your favourite shows anywhere. 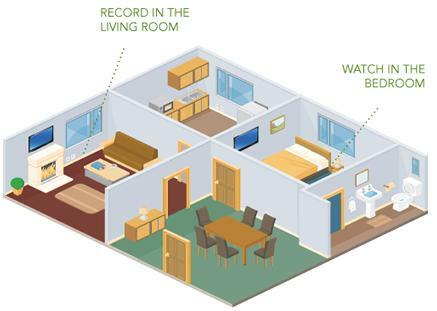 You can even watch different recorded shows in different rooms. Gone are the days of fighting over the remote control. Start watching a movie in your living room, continue viewing it in the kitchen and watch the end in your den. Record, play, pause, rewind and fast-forward TV. Record hours and hours of programming with your PVR. Did you get interrupted watching your favourite show? Never miss a play with pausing live tv. Simply resume where you left off. Not home? No problem, with TBaytel’s remote PVR you can program your PVR on the go to record a program or series. Whether your home or away never miss a thing. & 540 W. Arthur St.